Please Pay for all Magazines and Books Before Sitting at the Fountain. Aficionados will recognize that sign as a longtime fixture of the soda fountain at the now defunct Steve’s Sundry. 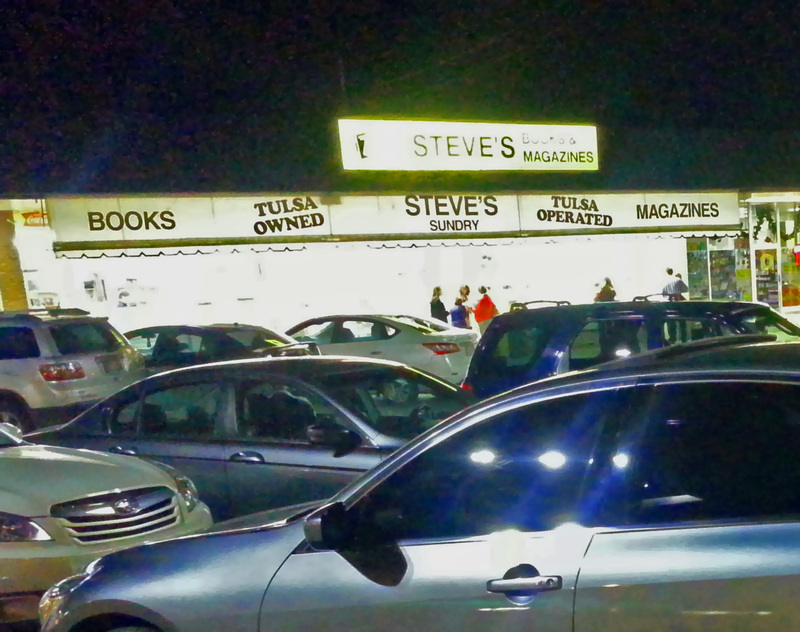 Steve’s closed their doors for the final time Tuesday, December 31, 2013. The dire warning above was intended for any unscrupulous patron that might have dared to peruse a periodical while seated. If you ever cared to read while sipping your malt it required two trips to the checkout line: Pay for your magazine; Return to the counter; Eat; Walk up front and pay for your food. Never mind the fact that you could thumb through Wired for hours if you stood at the magazine rack. Continue reading Please Pay for all Magazines and Books Before Sitting at the Fountain. Posted on January 1, 2014 Categories life, marketing, tulsaTags Books, Food, LocalLeave a comment on Please Pay for all Magazines and Books Before Sitting at the Fountain.